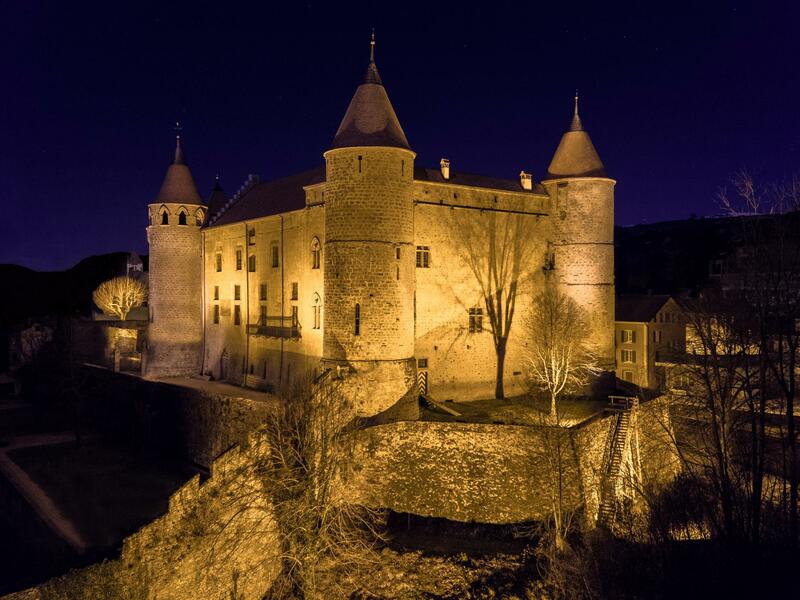 Built between the 11th and 13th century, the castle of Grandson played a main role in the Burgundian Wars and the battle of Grandson (1476). Defeated by the Swiss Confederates, the Duke of Burgundy, Charles the Bold, left behind exquisite spoils of war, a great number of artillery pieces among them. 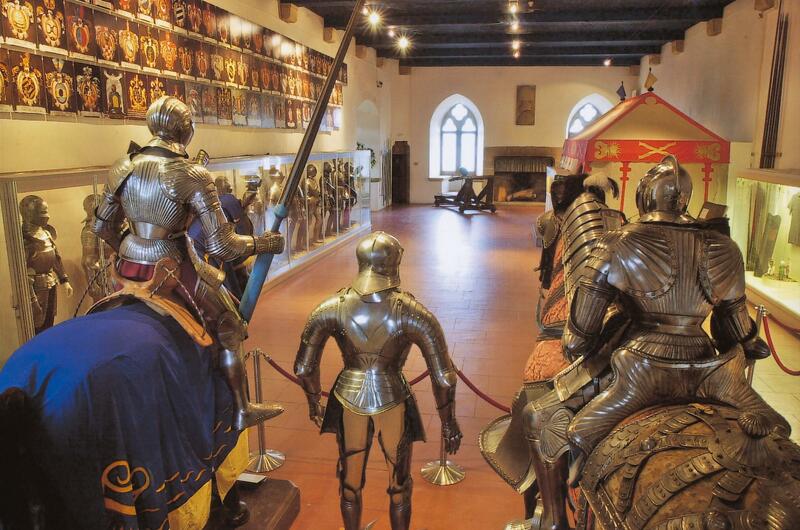 In the historical rooms, you can admire beautiful Renaissance stalls, scale models of castles and battles as well as a Renaissance room. A wall-walk, a torture chamber and a dungeon complete the visit. 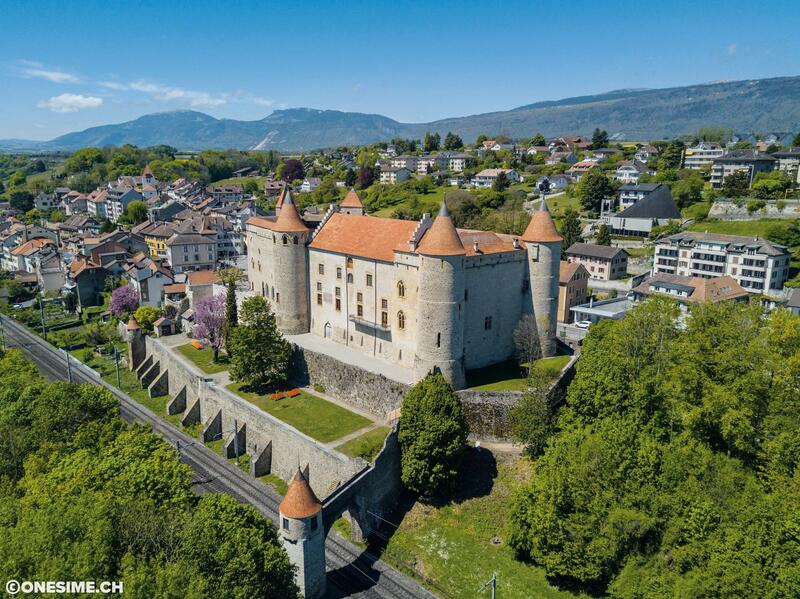 In addition, new exhibition areas describing the castle's entire history will be open soon to the visit for the public. 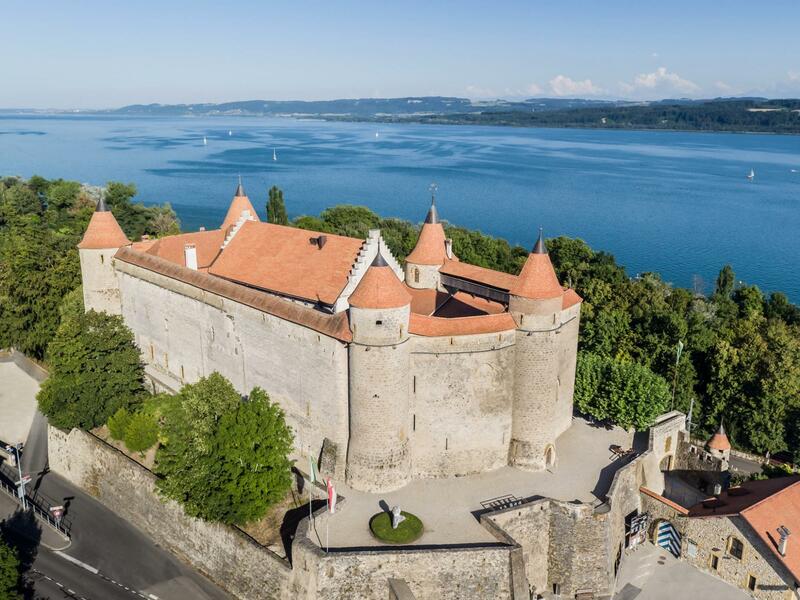 Treasure hunts, guided tours or creative workshops: the activities for the young and not so young let visitors discover the castle in a fun way. The rooms and private rooms and the beautiful inner courtyard can be rented for seminars, weddings, and banquets. 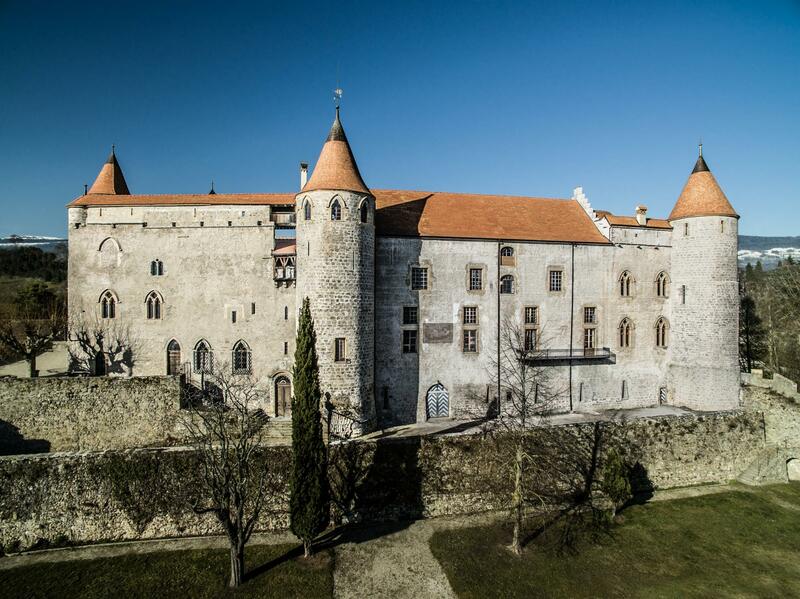 In August, the castle opens its courtyards and gardens during the great medieval festival.